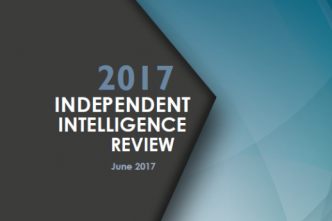 How Australia’s intelligence agencies contribute to counterterrorism (CT) efforts is a key focus of the 2017 Independent Intelligence Review at a time when the rapidly evolving threat underscores the need for the regular reassessments recommended by Phillip Flood in 2004. Terrorism’s been a prominent feature of the security environment for over a decade and a half, and a significant focus of agencies since the last review in 2011. In that time, we’ve witnessed the Arab Spring and ensuing conflict in Iraq and Syria, the emergence of the Islamic State terrorist group, the threat level in Australia increasing in 2014 to ‘Probable: an attack is likely’, hundreds of Australians fighting abroad, five attacks at home and 12 disrupted plots. 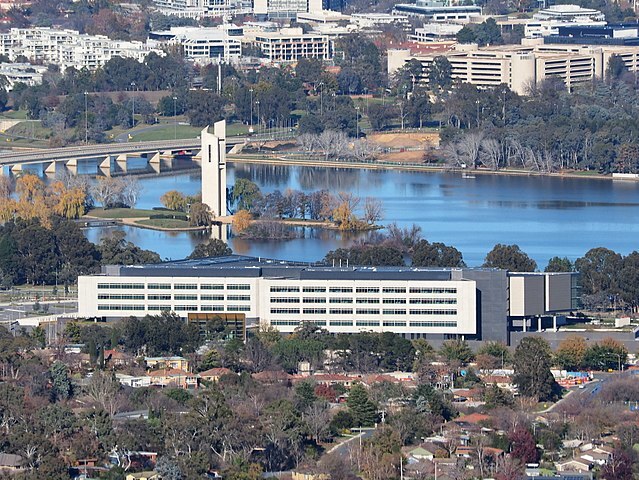 Although Michael L’Estrange and Stephen Merchant were charged with examining the six agencies that comprise the Australian intelligence community (AIC), they followed the recent convention of including the intelligence functions of other agencies in a broader ‘national intelligence community’ (NIC). They stress that they limited consideration to the intelligence functions only of these non-AIC agencies. This appears to have been missed in some criticism that the newly announced Home Affairs portfolio was not recommended by the review. While the review was asked to examine new structural arrangements for the ‘intelligence enterprise’, it was beyond its scope to examine and recommend broader changes affecting security policy agencies. The review says that ‘extremism with global reach’ will continue for the foreseeable future. It commends the agencies for stopping attacks and supporting CT activities at home and abroad but confirms the heavy toll this effort has taken on the agencies. Agencies are stretched by operational demands and have little scope to deal with terrorism and other challenges in a more strategic way, or to easily reprioritise targets. 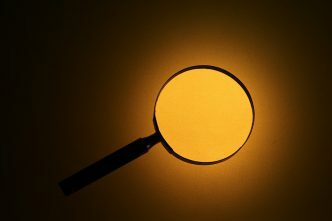 The review identifies the need for a truly strategic intelligence capability to oversee and optimise coordination across these areas and agencies, in the form of an Office of National Intelligence (ONI). L’Estrange and Merchant note that this is a natural progression of the role originally envisaged by Justice Robert Hope for the Office of National Assessments (ONA). The agencies are working well, they say, but leadership and coordination could make Australia’s intelligence capability one of the world’s best. To improve CT coordination, the review recommends placing a senior ONI officer into the Centre for Counter-Terrorism Coordination (CCTC), to better align activities. This useful initiative builds on existing arrangements in the CCTC while linking back into the larger ONI project. This role will likely gain even greater importance as the Home Affairs portfolio takes shape, as the CT coordinator and CCTC should play a key part in forming and transitioning to the new arrangements. The ONI secondee should be at least at SES Band 2 level, as they’ll report to an ONI deputy. The position should be maintained at this level rather than downgraded as has occurred with some initiatives. Another role to watch will be that of the new director-general of national intelligence as the key adviser on intelligence to the prime minister and Cabinet. The review makes it very clear that this role is to focus firmly on strategic direction, prioritisation and resourcing of the NIC. But it will be challenging for both the incumbent and members of Cabinet to maintain the strategic focus of the role and not to succumb to treating this director as a tactical intelligence briefer on the evolving situation. In times of crisis, there can be great pressure to revert to the tactical, but it’s then that calm and strategic intelligence leadership is needed. The review affirms the ongoing role of the director-general of security in directly advising the PM and Cabinet on CT and foreign interference, and the roles of other statutory heads in providing expert advice on their areas of responsibility. The report’s message of collaboration and coordination extends to improved NIC engagement with policy agencies through enhanced ICT linkages and beyond government to business and academia across the range of threat and technical areas. This aligns with state, territory and local governments, business and academia being seen as CT partners in protecting mass gatherings from terrorism, countering online extremism and terrorist use of encrypted communications, and countering terrorist financing. The National Threat Assessment Centre will benefit from additional focus and technology to ensure threat advice reaches all who need it. The capability impact of the review has received less attention but will be a game changer. Coordinating the technical requirements, procurement, sustainment and use of key data analytics and ICT systems will not only enhance the NIC’s overall capability but will improve the quality of information and systems available to its partners, in Australia and overseas. 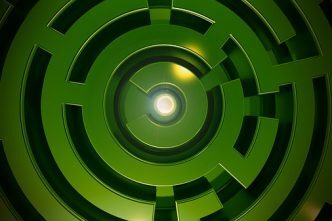 While there are many software and hardware capability overlaps between agencies, including data analytics, surveillance, communications, technical interception and supporting ICT, technical collaboration has not previously had a strategic home. Establishing an NIC science and technology board will target research to support the broad intelligence capability in a way not previously seen. A dedicated innovation fund and hub should provide the tools for collaborating with industry and academia and for quickly mounting projects to address new threats. Agencies will continue to have some differing requirements, but a shared hub for research and capability development will be of enormous benefit. 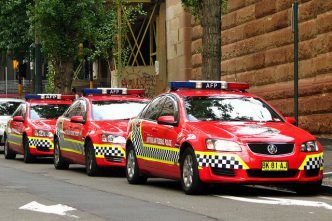 This is particularly important for CT, which has had substantial and disparate investment not only by NIC members, but also by state and territory police. And the high rate of threat change requires, at times, innovative and rapid acquisition capability. Much has been said about terrorism stretching agencies as never before. A strategic understanding of both the intelligence and policy aspects of countering terrorism is essential if Australia is to stay ahead of this threat—and be alert to others. It’s in refocusing the NIC to a strategic level that the review provides the greatest impact. It’s timely that the review was released, and endorsed, at the same time as the announcement of the new Home Affairs portfolio, complementing the rejuvenation and refocusing of intelligence with similar efforts to coordinate security policy and operations. Now comes implementation. Jacinta Carroll is head of the Counter-terrorism Policy Centre at ASPI. Image courtesy of Wikimedia Commons user Nick-D.